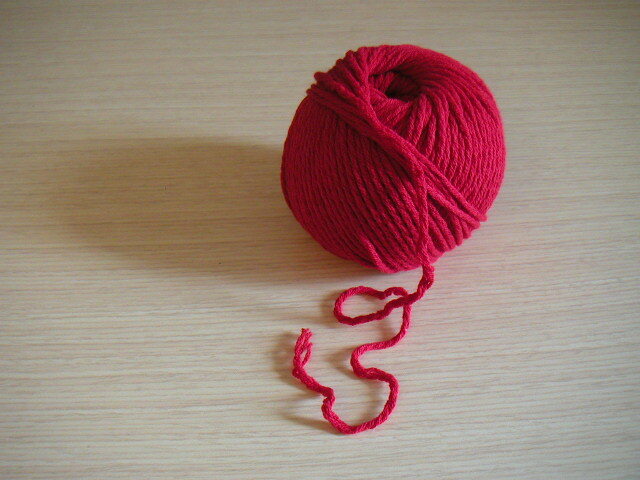 I received my yarn from Elann on Saturday! The tomato color is perhaps a bit brighter than I thought it would be, but I think it will look nice when the sweater is all knit up. I haven't had a chance to swatch yet, but I am anticipating using a slightly larger needle than called for because the Winter Cotton is definitely not as thick as the GGH Goa. I have read through the directions for the sweater several times and it seems pretty straightforward. There was an error in the cable pattern, but the correction was included with the magazine and it is also online. I thought it was weird that there is no cable chart with the pattern. I guess I don't need the chart, or can make my own, but you'd think it would have been included.